If you grew up in the 1970s, you probably look back fondly on the Formula One cars of that era. The Marlboro McLarens, the Martini Brabhams, and best of all, the svelte John Player Special Lotuses. Axel Budde of Hamburg-based Kaffeemaschine is a fan of those glory days, and so is his client Arnd Rohrlapper. 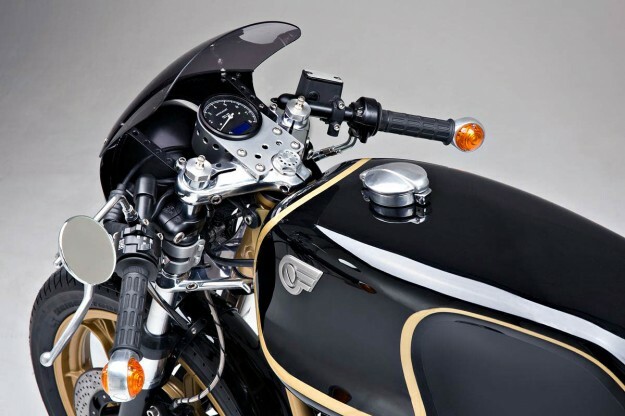 So they concocted the idea of a 1970s-style cafe racer in the iconic JPS black-and-gold livery. 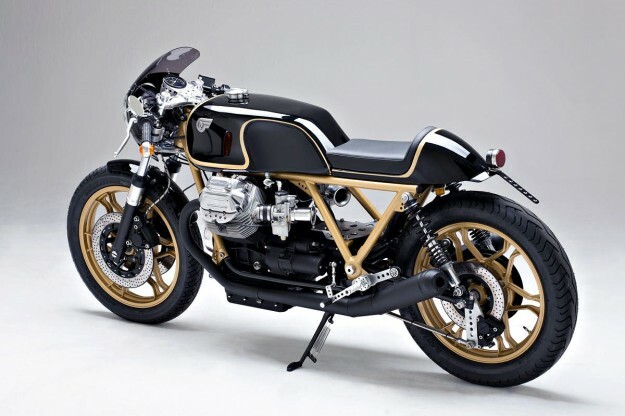 Here’s the finished bike, based on a Guzzi Le Mans Mk III, and it sure looks good. 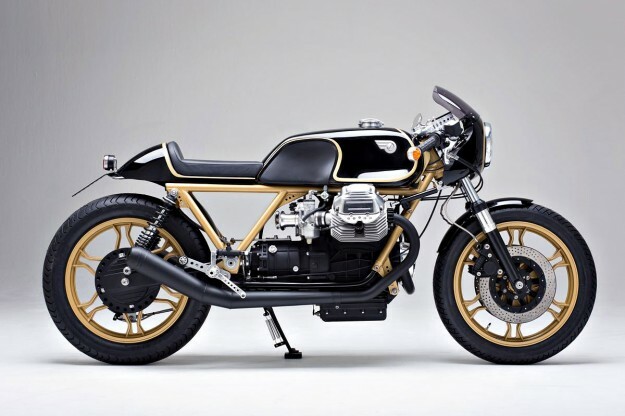 The Mk III was probably the best of Guzzi’s Le Mans variants. The styling was angular and idiosyncratic, but the core of the machine was strong and characterful—hence its popularity with custom builders today. This particular creation, the eleventh to roll out of Budde’s Hamburg workshop, has been stripped down and rebuilt with performance in mind. There’s a capacity boost to a liter via new cylinders and pistons, with output bumped up even further thanks to sportier cam timing, revised valves and twin-spark heads. Electronic ignition, modified carbs and a balanced crank complete the engine mods. The transmission and shaft drive have been overhauled to cope with the extra horses, with an uprated clutch to harness the power. 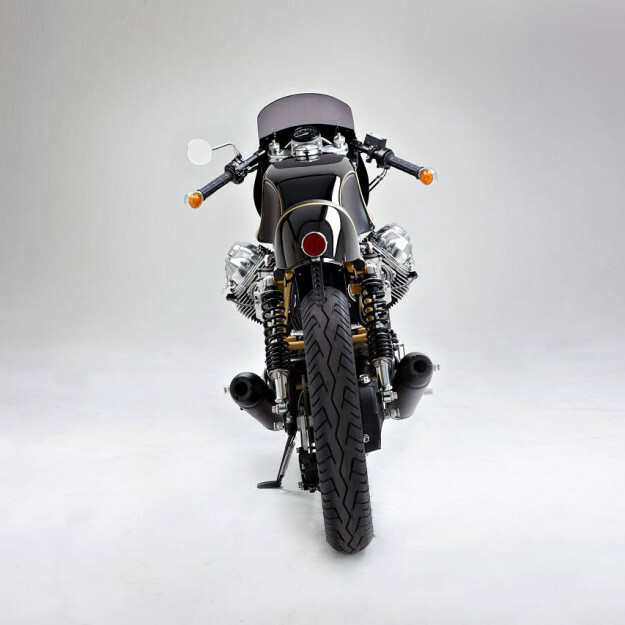 The exhaust is custom made—with removable decibel killers—and based on a vintage race unit. Power is nothing without control, so Budde has upgraded the brakes with modern master cylinders and stainless lines, and refreshed the suspension. The overhauled forks are sporting FAC dampers and custom-spec Ikon shocks keep the rear end planted. And that exquisite tank? 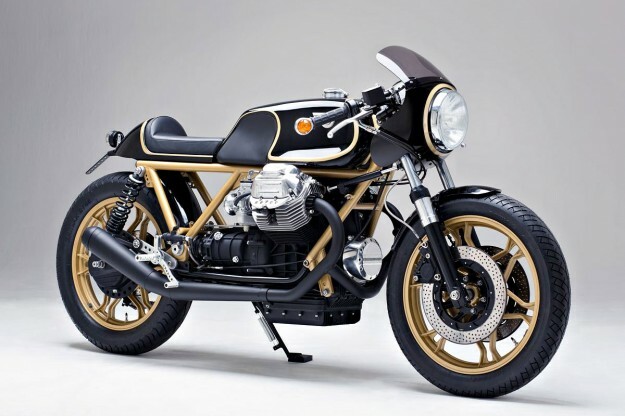 It’s a Magni replica, with just enough curves to highlight the famous John Player Special livery. Visit the Kaffeemaschine website for more information about Axel’s bikes, and get the latest Kaffeemaschine news via Facebook.